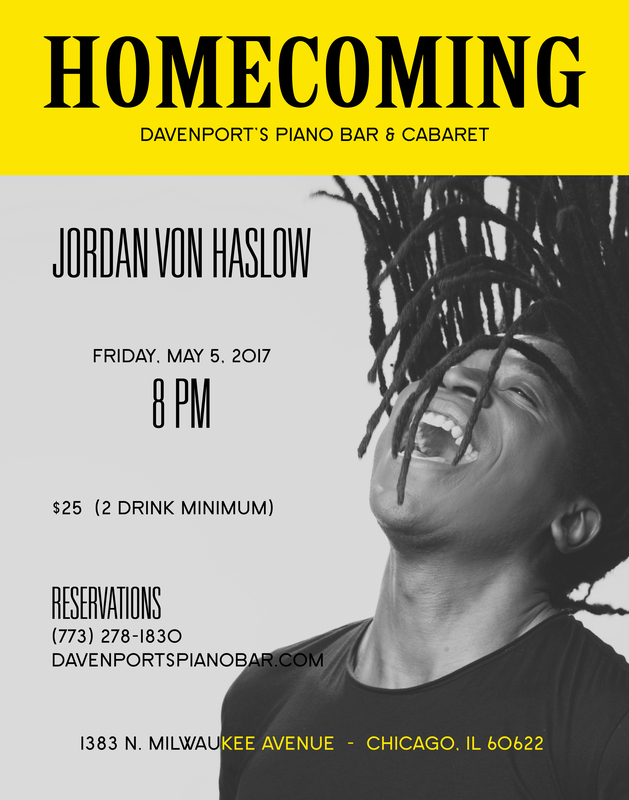 Jordan von Haslow returns Chicago with his new act, Homecoming, marking his first hometown performance in 15 years! Last in town in 2002 to celebrate the release of his debut recording This Could Be the Start of Something, the concert vocalist and saloon singer has since performed to sold-out audiences internationally in venues including Carnegie Hall, The Bitter End and the Albury Hotel in Sydney, Australia. 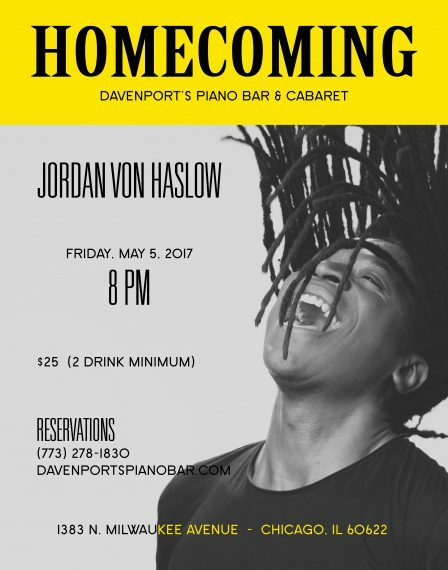 Past performances include the New York production of The Phantom of the Opera, the PBS presentation of Steppenwolf Theatre’s Mad Joy, Leonard Bernstein: A Celebration with Harolyn Blackwell and Jubilant Sykes and the Stephen Sondheim 80th Birthday Celebration with the New York Pops.